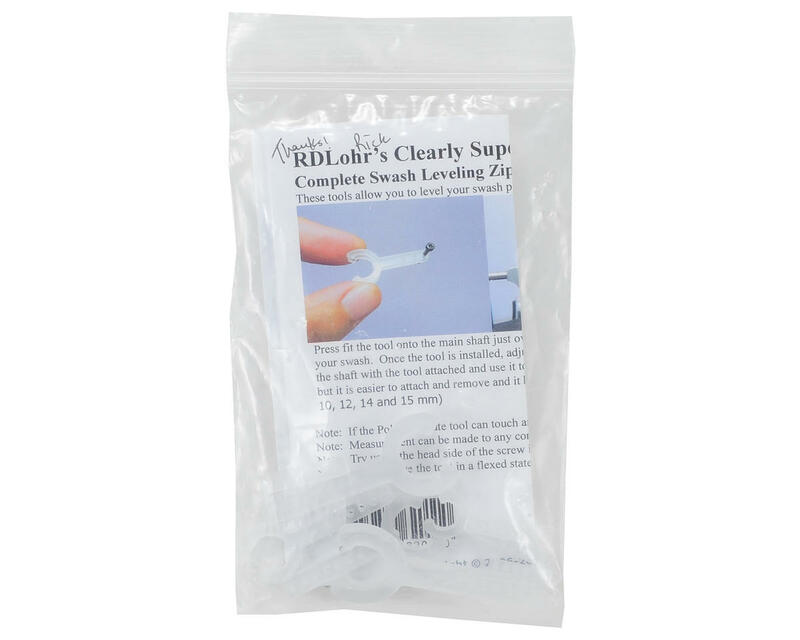 This is the RDLohrs Swash Leveling Zip Tool Set. This simple tool will allow you to level your swash plate WITHOUT removing the head! The Zip tool is a must have for your field box! Clip it onto the main shaft just over the swash plate and it provides a level surface to use as a reference while leveling your swash. This CNC milled tool is extremely accurate, and the polycarbonate material will not scratch your machine. 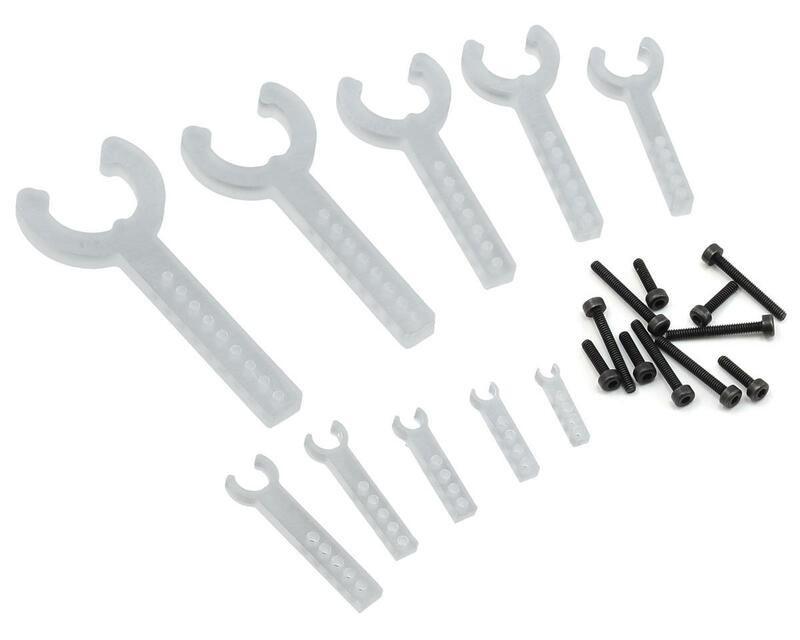 Package includes all ten zip tools.